The 25th Jubilee Edition of TT Warsaw is behind us! The 25th International Travel Show TT Warsaw 2017 has come to an end. Over 20 thousands visitors and nearly 500 exhibitors from 53 countries participated in a three-day event, which created a unique opportunity to embark on an inspiring journey around the world. Poland was the partner country of this edition, and the event took place in the Palace of Science and Culture in Warsaw. The International Travel Show TT Warsaw was held on 23–25 November 2017 in Warsaw. As always, the event drew a large number of exhibitors and visitors. Tour operators, travel agencies, hotels, regions and countries were trying to captivate the visitors with specially prepared promotional offers, local specialities, contests and many other attractions. Events organised in thematic zones and conference rooms attracted not only industry specialists but also travel aficionados. The 25th Travel Show was officially opened with a symbolic ribbon cutting ceremony by the Minister of Sport and Tourism Witold Bańka, the Undersecretary of State at the Ministry of Sport and Tourism Dariusz Rogowski, the Undersecretary of State at the Ministry of Agriculture and Rural Development Rafał Romanowski, the President of the Polish Chamber of Tourism Paweł Niewiadomski, and the President of MT Targi Polska Urszula Potęga. The ceremony was an opportunity to take a stroll down memory lane and reflect on our accomplishments. Special thanks went to a number of institutions, partner countries and exhibitors which cooperated with TT Warsaw for the past 25 years. Grand Prix statuettes were awarded to the Minister of Sport and Tourism Witold Bańka as well as ECTAA Secretary-General Michel de Blust. The partner country of this year’s edition was Poland, represented by the Polish Tourism Organisation. Among many attractions offered at its stand, the visitors were especially interested in a virtual reality cinema, which screened films shot in the 360 degree technology. There was also a presentation of the best tourist products of 2017, which were awarded PTO certificates. Moreover, the visitors could learn about the winners of the EDEN contest, i.e. model tourist resorts. The trade show was accompanied by a rich programme of meetings and trade discussions. The new act on package tours and related tourist services was discussed by the President of the Polish Chamber of Tourism, Paweł Niewiadomski. There was also a formal sitting of the PCT General Council, which has been present at the TT Warsaw Travel Show since its very first edition. Large crowds turned at two debates organised by “Rzeczpospolita” daily. The first discussion was devoted to the changes in the functioning of the tourism industry introduced by the new act. It was attended by the representatives of the largest travel agencies, travel-industry organisations as well as the Minister of Sport and Tourism. The second debate was held under the slogan: “What Polish tourism needs?,” and it brought together experts from universities, the Polish Chamber of Tourism, the Polish Tourist Organisation, the Chamber of Commerce of the Polish Hotel Industry, as well as regional and local tourist organisations. a famous photographer and journalist Krzysztof Kobus. Regional seminars were offered by the Belarussian Grodno region as well as the Swedish Scania, which attracts Polish tourists with its pristine nature and opportunities for active tourism. The most intriguing place in the Ukraine was presented at a meeting entitled “Discover Chernobyl”. The visitors could also get to know the offer of Prima Holiday travel agency as well as a newcomer to the Polish market – Ural Airlines. In the second half of December, the airline became the first to open a connection Warsaw and the Moscow airport Domodedowo. A large audience gathered to listen to the debate on cooperation with event agencies, which was addressed to the representatives of the MICE industry. Agritourism had a strong presence at this year’s fair. The Ministry of Agriculture and Rural Development was a partner of the event. At its stand, entitled “Rest in the countryside,” you could get acquainted with the offer of agritourism farms, educational pens, as well as other forms of leisure in rural areas. The visitors could actively participate in various games as well as educational and handicraft workshops. A special meeting was devoted to experts presenting the potential of mobile applications, planners, product management systems and functionalities of such promotional tools as Beacony. Discussions included business topics related to the role of agritourism in the economy of experiences as well as good practices resulting from the creation of network products. The stand of the Ministry of Agriculture and Rural Development was prepared in cooperation with the Polish Federation of Rural Tourism “Gospodarstwa Gościnne”. 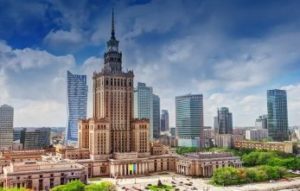 TT Warsaw Travel Show was an excellent opportunity to plan a holiday – both a package holiday as well as a self-organised trip. The stands included thousands of offers for every pocket. The visitors were able to discover new regions through interactive stands, educational meetings, workshops and animations. They also took part in seminars and debate, met face to face with famous travellers and watched multimedia presentations about selected countries. The event was accompanied by entertaining dance shows straight from the Balkans and the Middle East, as well as concerts with repertoire that included folk and classical music. There was no shortage of tastings of local delicacies and contests with prizes, in which the visitors could win vouchers for hotel stays, trips to warm countries as well as small gifts. In a dedicated zone, you could hear the stories told by travellers, writers, reporters, photographers and bloggers. Marek Kamiński presented the details of his future journey around the world, Arkady Paweł Fiedler described his plan to travel from Africa to Europe in an electric car, and Beata and Paweł Pomykalscy talked about the yet undiscovered corners of Croatia, Bosnia, Serbia, and Macedonia. Cezary Szproch showed videos from his camper journey around Scania. A blogger and traveller, Anna Jackowska, described her motorcycle journey along its local roads. Robert “Robb” Maciąg described his Swedish film sleuthing adventures, and culinary blogger Monika Dunajska talked about the flavours of Swedish cuisine. Photographer Piotr Malczewski shared his winter adventures at the Lake Baikal. A well known writer and Japan enthusiast, Piotr Milewski, presented the Shimokita peninsula, known as the gateway to Buddhist hell, while a traveller and artist, Arun Milcarz, revealed the secrets of shaman rituals from the Russian Far East. All Polish language enthusiasts were treated to the possibility of getting a book with a signature of Professor Jerzy Bralczyk – the zone’s special guest. The exhibitors considered this year’s trade show very successful. Without a doubt, one reason for that was the large number of participants, both from the business world as well as private visitors. Volkan Akgür, Culture and Tourism Counselor at the Embassy of Turkey, also underscored that this year’s edition of the fair was very successful. Turkey, same as the Dominican Republic, organised special conferences with the aim of presenting the details of their wide tourist offer for the next year. “Only in the last year the number of tourists from Poland increased by nearly 100%”, said Peter F. Gontha, the Ambassador of Indonesia in Poland. The significance of Polish holiday-goers on the world market is increasing. In many cases, their passion for travelling began here, at the TT Warsaw Travel Show. Today, we would like to invite you to the next, 26th edition of the TT Warsaw that will take place on 22-24 November 2018 in Palace of Culture and Science.